At this point, Sadistik is just coasting on talent alone. This may sound good at first that he can knock out great music in his sleep, but it doesn’t. Sadistik isn’t that type of artist. He’s the man behind Flowers for My Father. There aren’t lot of records that are this emotionally devastating. It’s a record that can only come from a desire to exorcise your emotional demons. Expecting another album like this means hoping something bad will happen to him. I’m too thankful for that album to wish him something bad. I can be fine with an album like Ultraviolet. It saw him moving towards more abstract raps. It doesn’t sound like he was pouring his heart out. He was using his subject matter of heartbreak and self-loathing to create beautiful poetry and music. So even if “Into the Night” doesn’t have the vulnerability of “Palmreader”, it still has catchy lines and passionate rapping. There’s no artist I want to hear a song called “To Be in Love” more from than Sadistik. 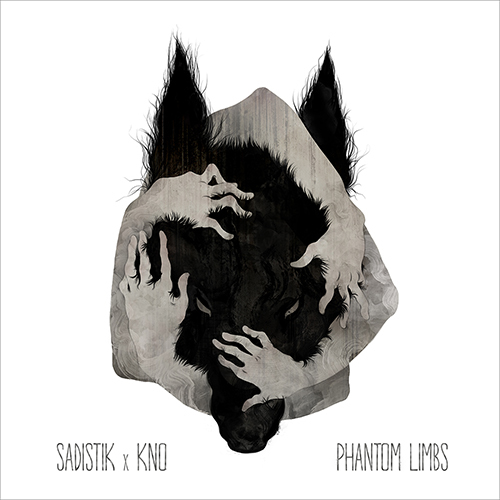 No one will write about how the excitement of love is more sad than beautiful like Sadistik. The song is anemic, though. There’s a nice, slightly gothic beat and a good sample in the chorus. All Sadistik can come up for that is calling his loved Mecca. That’s it? I kept waiting for something like “Fist-fight just to feel the touch”, or even something that looks silly on paper like “Cracked ribs from the hugs that you gave me”. Sometimes I think I’m hearing him praising her while lowering himself. Again, it’s a concept Sadistik excels at. There aren’t enough songs that connect passionate love with self-loathing, and Sadistik misses the oppurtunity. All the songs have the same problems. It’s always nice to hear Sadistik rap. His flow is still good, although not as complex. It can’t help but reeks of lines that didn’t make it to Ultraviolet, though. That one already sounds like half of it didn’t make it to Flowers for My Father anyway. The only reason to hear these songs is if you overplay Sadistik’s other material. That’s not something that will happen often, because he has a lot of material and most of it is great. The production doesn’t help much. There are some beats that sound like maybe Gothic Rock and Hip-Hop can go together. There are also weird forays into Trap. This isn’t an attempt to combine melancholy lyrics with tough guy music for contrasts. These are just snare rolls with a depressed rapper over them. I’m all for sampling Eraserhead (Sadly, the song doesn’t revolve around the film like it could) but what do the snares contribute? This is the man who made “Blue Sunshine”, “Into the Night” and “Petrichor”. Why is he rapping over such generic beats? Is he trying to appeal to the same people who filled the rap canon with borin Boom Bap? It’s Sadistik being Sadistik, so I can’t call it bad. He’s too talented, and this will get the occasional spin. Nothing here deserves to reach his Best Of though. This is only good for keeping you busy until Sadistik’s next project. It does it well, but there isn’t longevity here.